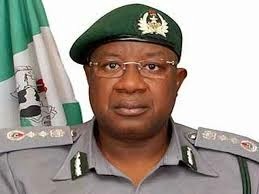 The Comptroller General of Customs, Dr Dikko Abdullahi on Wednesday stressed the need for stronger collaboration and synergy amongst regional organizations in the West and Central Africa, stating that the “reality of our time” has made it mandatory. Abdullahi made the statement at the opening ceremony of the sub- regional meeting of the World Customs Organization, even as the WCO Secretary General, Kunio Mikuriya emphasized that until the menace disease, insurgency or terrorism was collectively and regionally fought, no enduring victory may be guaranteed. “When we work together , we win together. With the dynamics of international trade and complex nature of border security, we must see ourselves as partners with other Government agencies within and outside our borders. “The reality of our time imposes on us the obligation of collaboration among all partner agencies of Government; using information technology (IT) and various WCO tools as support”, the Comptroller General said, pointing out that more efforts , more success would be delivered, if stakeholders work on synergies and efficiency. Speaking on the theme “Coordinated Border Management, an inclusive approach to connecting stakeholders”Abdullahi said the Abuja meeting initiative which recently saw Nigeria, Benin, Chad, Cameroon and Niger sitting and brainstorming on a collaborative approach of combating cross-border terrorism within the region had begun to yield positive results; in addition to assisting in streamlining transit trade between Nigeria and the neighbouring States of Benin and Niger. “I equally want to recall our resolve against the dreaded Ebola Virus, sympathising with families of affected victims, even as stressed that “from our experience here in Nigeria, no challenge is strong enough to withstand our resolute and collective efforts”. He however stressed the need for capacity building, through training and retraining of officers, as well as the continuing employment of talented youths, noting that it is their engagement, and training that the emergence of the desired modernized Customs Service would be realised. “There are talents in Nigeria who believe that successful career can only be nurtured in the private sector. We need to recruit these talents, particularly those with IT skills and retrain them with good remuneration, obtainable in the private sector,” stressing that each organization must focus adequately on welfare package, as a reliable tool, for ensuring improved productivity. “There is no over-emphasizing the fact that improved welfare for officers will improve productivity and efficiency. Projects like Home Ownership Schemes, subsidized medical services for officers and families and 13th Month salary are some of the incentives we use in Nigeria”, Abdullahi said, even as he praised President Goodluck Joathan whom he described as a great Statesman and Ambassador of Peace, for providing the Customs Service, the impetus for its immense growth. Meanwhile, the WCO Secretary General, Mikuriya has praised the leadership roles that Nigeria is playing in the sub-region, noting that from 2011 when he first visited Abuja, till date, he had continued to marvel with the Nigerian Spirit, their love for hard work, and their commendable leadership qualities as demonstrated during and after the recent 2015 Elections. He lauded the Nigeria Customs Service (NCS), leadership especially, in the pursuit and investment in IT, adding that he was glad that the NCS was able to increase revenue profile by 20 percent, even in the first year of getting its job back, from the Service Providers, particularly, the Destination Inspection group. Mikuriya also praised President Jonathan for his statesmanship, organising a transparent and credible elections; in addition to the enduring support he gave the NCS, and expressed a desire for similar support by other sub regional political leaderships, for their respective Customs Service. He assured Nigeria of the continuing support and assistance of the WCO, stressing that the success of the Nigeria Customs experiment may be all that the WCO needs to convince other political leaders, on the importance of supporting totally, their respective Customs Service. Meanwhile, the three-day event was flagged off with a cocktail yesterday at the Nicon Jotel, Abuja, where the attendees , particularly, the WCO Vice Chairman, West and Central Africa, and Head of Customs , Cameroon, Libom Li Likeng Rinette specially commended the NCS and the Nigerian people.